Discover a haven of tranquility and well-being. Perched high above the Caribbean Sea. Curated, thoughtful treatments to repair and restore. When it comes to relaxation, Ixora Spa will enlighten your senses and soothe your soul. Honored as a Top 10 Spa by Caribbean Travel & Life. 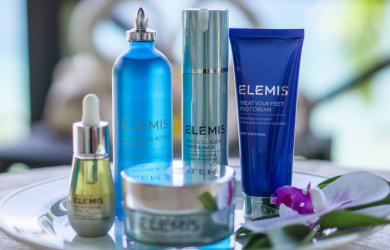 Featuring the luxurious products of ELEMIS. Defined by nature. Led by science. Masterful spa experiences delivered by highly trained therapists. Anti-aging facials, reviving body scrubs and wraps. Timeless massages to relieve the slightest traces of tension. Men’s and couple’s treatments, creative combinations and indulgent packages. Indulge in a variety of monthly specials. Leave your mind peaceful, your muscles relaxed and your skin beautiful. BLISS. TO GIVE OR RECEIVE. Give the gift of time. Gloriously relaxing, soothing, luxurious time. For someone special, or just for you. Perfect for any special occasion. Indeed, a visit to Ixora Spa is a special occasion in itself. Honeymoon, romantic getaway or special occasion. Soak, sip and soothe your way to the perfect escape, side-by-side. In paradise. A gift they’ll never forget. Impress family and friends with a little rest and relaxation of the most decadent and luxurious kind. Need a little more pampering? 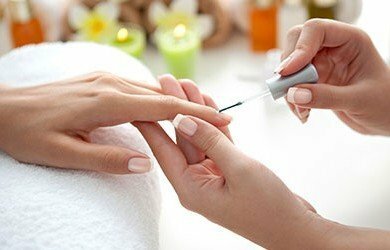 From nail services to massage enhancements, customize your treatments. Reinvigorated and perfectly polished.